THIS IS FOR MY 4 Sons 11 foot extended wand ONLY. YOU ARE PURCHASING AN 11 FOOT EXPANDABLE WAND. THIS DOES NOT INCLUDE THE SPRAYER. 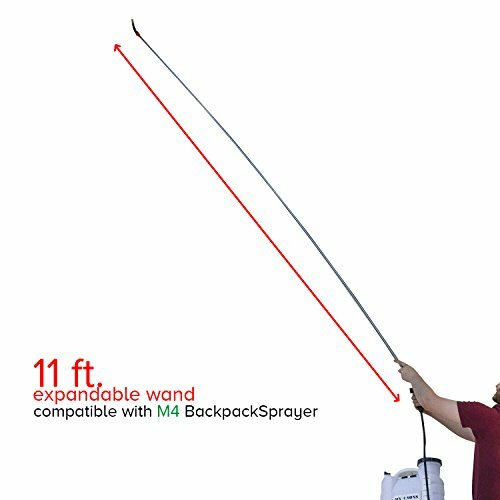 WAND ONLY You will love the extra reach you have with this 11 foot wand we have invented for our M4 sprayer. WE INVENTED THIS WAND. No other wand in the world gives you reach like our 11 foot extended wand. We promise you will love this 11 FOOT WAND or we will give you a full refund. Click the add to cart button now and test this amazing wand for yourself. If you have any questions about this product by My 4 Sons, contact us by completing and submitting the form below. If you are looking for a specif part number, please include it with your message.